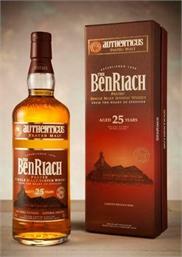 Welcome to the second monthly newsletter on Planet Whiskies from the BenRiach and GlenDronach. None of the content below has been changed. This newsletter is for May 2012. So enjoy reading this excellent newsletter from BenRiach and GlenDronach. It is hard to believe it is May already! There has been lots happing over the past 4 months at BenRiach with the launch of the new BenRiach peated range and we are getting ready to start the BenRiach maltings! While at GlenDronach we have been working on some exciting releases for this year including a distillery exclusive. As you all may be aware we have been working hard since the Christmas shutdown getting the BenRiach maltings back up and running. We have been going through the whole system and apart from the odd belt, bearing and a bit of elbow grease, all the conveyers and elevators are now running smooth. Surprisingly, after being shut for the best part of 13 years, the machinery is all in great condition! The next stage is to get some weight on the system to see how it runs under stress. I have 3 tonnes of barley sitting ready to go for a whirl round the floors, and it will be great to hear its blood pumping and the old place coming back to life. The Kiln is working well: the compressor started at the first attempt and when the fire is stoked up the old baffles and fan maintain the heat perfectly. The slightly harder job is to erect a scaffold platform on the underside of the kiln floor to do some maintenance on the diffuser and the floor itself. The maintenance is the easy bit, getting the scaffold in through the hearth is a bit trickier! All going well, it should all be ready in around 10 days maximum. We also have been very lucky with the running side of the plant; the 80’s brewer at BenRiach, Robert Fleming now the manager at Tomatin distillery, took a rummage through his loft and came up with some great information; old steep charts, floor times and temperature log books and kiln charts. Also BenRiach's ex maltster Andrew Anderson has popped in and given us more personal knowledge of the building - the things that can't be learnt from any book! This is all invaluable hands-on knowledge and will make the learning curve not quite as steep as it could have been. The mild winter weather has been kind to us; all the boys have mucked in, giving up their weekends to cleaning and painting the place throughout. As a result, the place is looking great if I do say so myself! We may also have been left some other things from yesteryear ……. As some of the boys worked late into the night painting around the steeps, footsteps and voices where heard over at the kiln area on the other side of the building. Thinking it was myself or Les, our engineer, they headed over for a blether, finding no one....They thought we had left and went back to the job in hand. On the second time they heard the noises they shouted over but no reply....On the third time, the paint brushes were dropped and a hasty exit was made! Was it the wind…..??? I shouldn’t be telling you this story, now I’ll never get anyone to turn the floor and stoke the kiln on night shift!!! Until the next update, Slainte! The BenRiach Peated Range has been revamped and now includes the Birnie Moss, Curiositas 10yo, Septendecim 17yo and Authenticus 25yo. Palate: A fantastic fusion of rich peat and smouldering embers bound together by fresh herbs- Oregano, aniseed and chickory in particular. A rush of sweet, wild honey provides a lovely contrast to this lively, intense expression. We are delighted to reveal our new distillery exclusive cask bottling! The GlenDronach 1993, cask number 1607 will be exclusively available at the distillery. Bottled at natural colour and non chill filtered with a bottling strength of 56.1% this is a dram not to be missed! Appearance: Rich ruby / mahogany. Nose: An avalanche of raisins, spices with cedar wood notes. Taste: Fruit cake, sweet spices laced with figs, raisins and lashings of currants.